players and players facing extreme hardships. Our board members and volunteers are current softball players. Throughout the year, we hold used equipment drives at tournaments, high school games and other events to collect gently used equipment, cleats and uniform items. We clean, repair and store this equipment and distribute it to girls and teams in need. Our board members have established relationships with instructors, coaches and professional players that are recognized on a state and national basis for their softball expertise. We ask these coaches to share their expertise by coaching free clinics for players, teams and recreational leagues. We organize the clinics and assist the coaches in any way needed. Many of us have experienced, or know a player who has experienced, some kind of personal or family emergency. We also know that there are teams and players that can not afford to play without some financial assistance. We try to assist as many of these teams and players as we can on a case by case basis. We believe that every girl who wants to play softball should have the opportunity to play regardless of the cost. 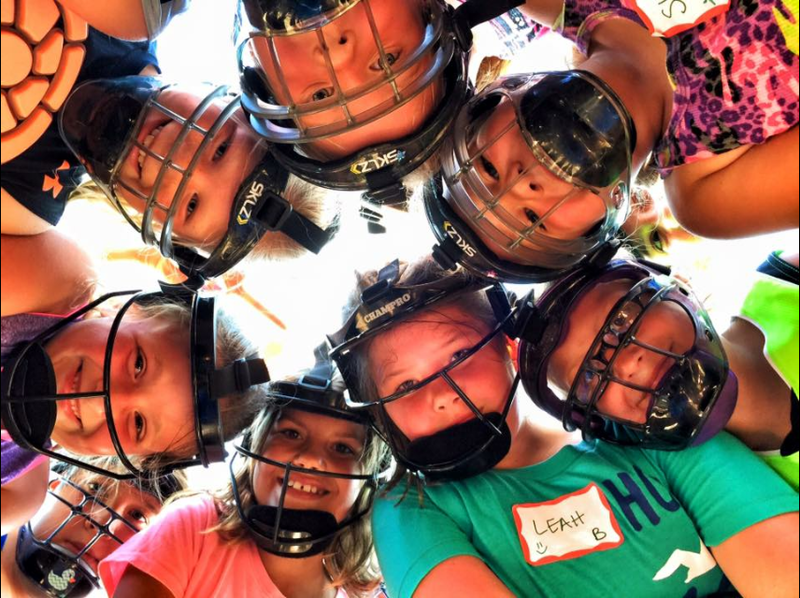 Softball teaches girls important life skills such as sportsmanship, teamwork, and communication. It also helps girls develop qualities such as patience, perseverance, and work ethic. It has been shown that girls who play sports have higher levels of confidence, self-esteem, a more positive body image and experience higher rates of well-being than girls who do not play sports. Video of the Lady Griffs in their first game with uniforms and equipment donated by Stay in Softball. The Lady Griffs were faced with having to forfeit their season due to lack of equipment and uniforms. Stay in Softball outfitted the team; gave the girls gloves, bats, helmets, cleats and facemasks; gave the team tees, balls, catching equipment, a field liner machine, field chalk, bases and a pitching strip. Not only did the Lady Griffs play- they ended the season with a winning record. See how we have helped other teams and how to request assistance. Video of frequent SIS instructor, Bob Hoiles, explaining the importance of practice and dedication at our free clinic in Zanesville, OH. Coach Hoiles served several years as an assistant coach with the Beverly Bandits organization. Some of his former players and students are currently playing, have played or are committed to play on the US National Team and at Pac-12, SEC, Big Ten and MAC teams as well as schools in many other conferences. Watch instructional video from clinics. ​View a slideshow highlighting many of the events Stay in Softball has had this year. Read more about our recent activities and learn more about upcoming events.